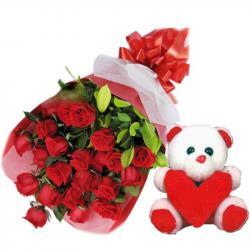 Product Consist : Bunch of 35 Red Roses and Teddy bear along with Valentine greeting card. 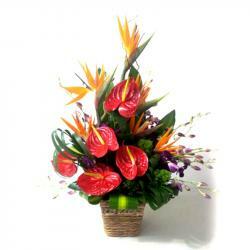 On the very special eve of Valentines Day make your beloved feels the magic and gift this special combo to her. The combo has a love card which will convey your heartiest feelings and love to her with bunch of thirty five red roses decorated with matching ribbon bow tie along with Teddy Bear. 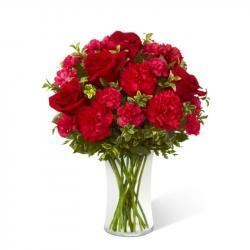 The bunch of thirty five red roses signifies that she is the perfect choice which u always wanted in your life. This gift will bring you both more closer and will make strong your relationship. 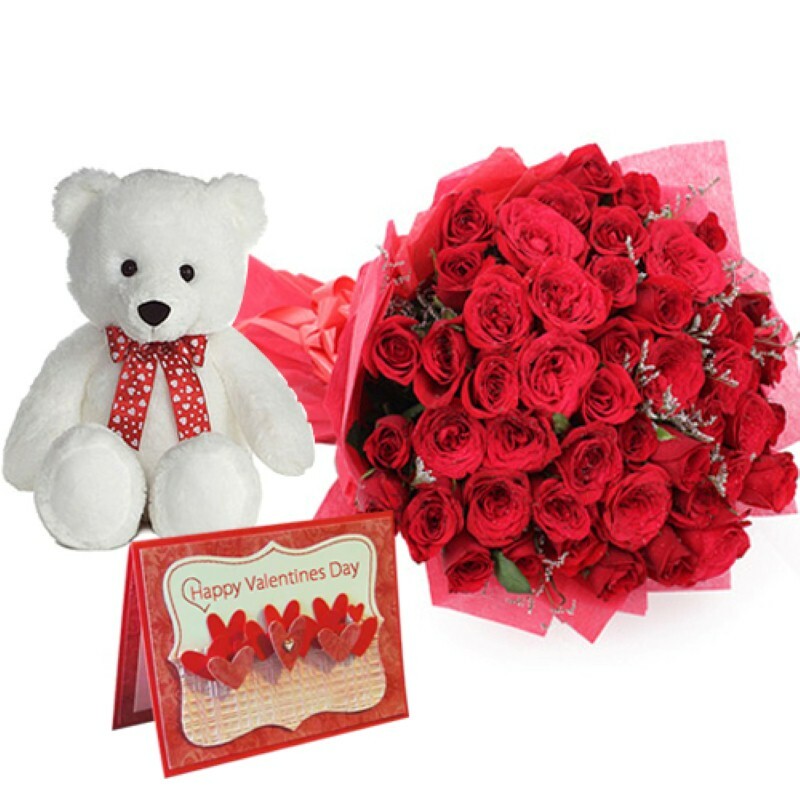 Product Includes: Bunch of 35 Red Roses and Teddy bear along with Valentine greeting card.